Rafe Mair is a former lawyer, cabinet minister and scratch golfer who went into honest work and became a broadcaster and writer on public affairs. During his public career Mair was the British Columbia minister responsible for constitutional affairs leading up to the patriation of the Canadian Constitution, and through 1980 attended all the critical meetings either as Premier Bennett’s representative or adviser. He has a unique insight and training into political and constitutional matters having traveled extensively researching these matters. Included in this research were trips to Germany to evaluate their bicameral federal system, Switzerland to learn about their federation with its theme of participatory democracy and the United States, courtesy of the State Department, for an in depth study of the inter-relationship of the White House and Congress as well as relations between state governments and Washington. Rafe Mair hardly confines his efforts to politics. In his editorials he often talks about sports, his slow, unsteady return to his Anglican roots, fly-fishing and travel. 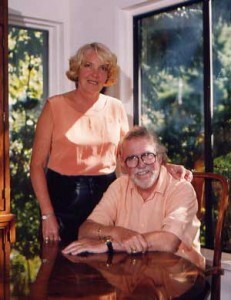 Rafe Mair has written several books. 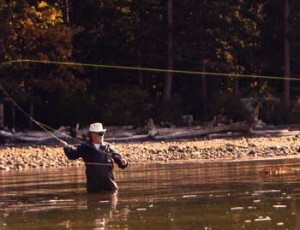 The first, a labour of love which may soon be re-published across Canada is called “The Last Cast” and chronicles his adventures as a fly fisherman which one unkind wag characterized as a chronicle of Rafe falling in rivers around the world. His second book is called Canada: Is Anyone Listening? It has been widely praised. Former Prime Minister Kim Campbell called it a book which all Canadians should read, and in the highest compliment of all, a good read. It offers wide ranging views on health, the environment, Canada’s unity. Mair has written eight books, The Last Cast, Canada:Is Anyone Listening?, Rants, Raves and Recollections, More Rants, Rafe – A Memoir, Hard Talk, Over The Mountains and What The Bleep Is Going On Here Anyway? During his radio career Rafe was BC Broadcast performer of the year, winner of the Michener Award for courageous journalism (the first radio person to be so honoured) the Bruce Hutchison Lifetime Achievement and is in the Canadian Association of Broadcasters Hall of Fame. In 2009 Mair was made an honourary Doctor of Laws by Simon Fraser University. Mair is 39 years old though he steadfastly refuses to explain how he has a 55 year old son and a 31 year old grandson. He is married to his beloved Wendy, has 9 grandchildren and a chocolate Labrador pup named Chauncey. If nothing else, Rafe Mair will make you think – about B.C. politics, Federal politics, U.S. and overseas politics – and lots of other stuff too.